There will come a day when this guy lets me sleep past 7:00 a.m. Today was not that day. Although, to be fair, he did sleep in until 6:40 (yesterday and the day before were 5:30 wake up calls). 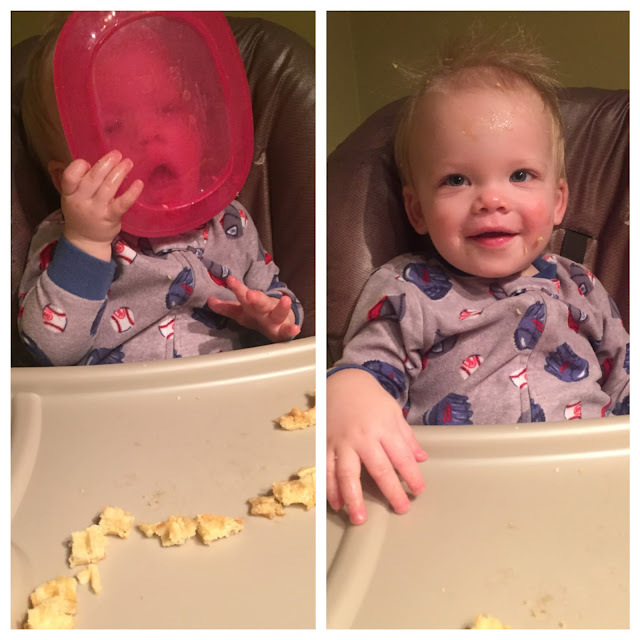 And what better way to start the day than licking the plate before your food is done and promptly rubbing it on your head. Looks like another bath is in order (which he'd love). This kid is ALL boy.